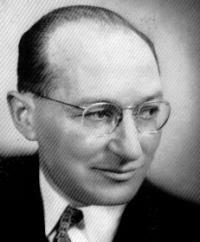 Kurt Lewin was born in what is now Poland on September 9, 1890. He and his family moved to Berlin when he was fifteen. Lewin obtained his doctorate degree in Psychology from the University of Berlin in 1916 and later become a professor. He left Germany in 1930 as Jews were being ousted, first taking a six month assignment at Stanford University followed by a two-year assignment at Cornell School of Home Economics, and eventually settling at the University of Iowa. Early in his career Lewin took on the study of Taylor and Scientific Management. He agreed with many of Taylor’s principles but objected the notion that work had no meaning for workers other than money. Lewin believed that work brought meaning to one’s life. In fact, he felt that work could be a path for self-realization. Group dynamics and Lewin are intricately connected in the evolution of OD. He understood that we become interdependent as we join a group either by natural association, choice or directive. Lewin’s contributions in group dynamics started the famed T-Group sessions. From this experience we learned about the power of group interaction and feedback. Lewin borrowed the term feedback from electrical engineering and applied it to describe the adjustment of a process by informed data about its results. Feedback was meant to unfreeze the person’s former belief systems. Several years would elapse before Emery would introduce the concept of Open Systems and more years would pass before Senge and others would introduce Systems Thinking into the OD field. However, Lewin had already theorized the notion that human behavior is the systemic function of the person in the environment. His equation B = f (p,e) communicates that new behavior (B) is the result of change as actions are performed by the person (p) in a given environment (e) that is not static. Lewin’s Force Field Analysis is a model that has evolved into a very useful technique that can be effectively applied when change agents need to understand the forces that are driving and restraining a given change. Lewin understood that any actions toward change would be met by opposing reactions. The model he proposed had a graphical representation called the Force Field Analysis diagram. The diagram contained the definition of the problem and the representation of the driving and restraining forces. As indicated, Lewin’s model on Change Process deals with the same behavior, person and environment variables. However it proposes a set of actions to be taken to enable change. The first action is unfreezing, which is meant to create a motivation and readiness for change. In the behavior model, unfreezing deals primarily with the person (p). The second is changing through cognitive restructuring. This is the actual change to the environment (e). In this step, the subjects (p) are made aware of the changes to the environment (e) and new relationships with this environment are formed through training, mentoring, role changes, new information, etc. The final action is refreezing, which is the integration of the new behaviors resulting from the change. In this model we can see how new behaviors can be formed as a result of the changes in both the person and the environment. Action Research is a core model in the OD arsenal. Lewin only wrote 20 pages on Action Research which gave way to volumes of reviews and books on the subject. He did not intend for his Action Research to be a consulting recipe. Lewin developed the model to illustrate how an external person to the organization should proceed in order to have the greatest effect in solving a problem or effecting change. He believed, as previously stated, that one cannot understand a system until a change is attempted. Action Research is exactly that, taking action as research is conducted.